I think I'm looking for the same thing. Did you ever find them? If so, sure would like the info on where. I have been trying to find "seats" for a Vogue Flair LX above ground pool. Mine are all cracked and have popped up......In other words, they are history!! Thank you. Looking for same pool connectors #1490001. Did you find them? Does anyone have any pictures of the Vogue Portico Oval Pool. I found that Morgan Building and Spas in Texas may have part 1490001 pool connectors for old Haugh's above ground pools. I am looking for top rails for a haugh's 27 ft round above ground pool.Does anyone have any idea where to find some. I am helping a friend setup an above ground pool and some of the plates for the base are rusted and broken. We are trying to find these parts and so far have had no luck. I have pictures I can share but I was wondering what the base is called? And where can we could find replacement parts for this metal ring pieces? Any help is appreciated. We cannot find the manufacturer name on the pool. It is a 24 foot above ground round pool. I have read that you can make most any bottom rim work as long as it is the same size as the top, is this true? Did you ever find the parts? I need the exact same ones. I am looking for replacement plastic connectors (caps) for an old Haugh's 15 foot above ground pool. I believe the part # is 1490001. I am looking for the same part # 1490001. Have you had any luck? 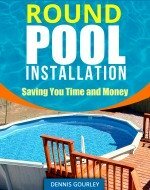 My problem is that I bought a 2009 Vogue 15' X 30' Oval Pool still in the box from an individual. Problem is that it was missing the box with the bottom metal straps , nuts and bolts, and the top parts of the posts (like metal clamps that hold the walls) also the metal sheets on the straps. My question is, will any straps, clamps, etc from any 15' X 30' pool work? I understand Vogue has sold out and I can't find any parts online. I am looking for 6 top plates for my pool. They are identical to the foot plates. 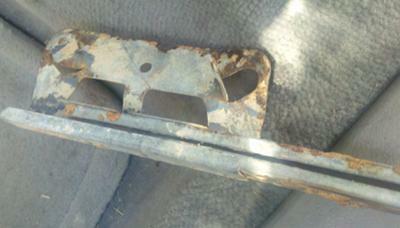 It is approximately 6 inches wide, 4 inches tall, and the rail it goes over is around 7/8 inch - 1 inch wide. I have looked everywhere with no luck. The pool is 24ft round and 54 inch deep. I have no idea the brand of pool it is. Any help would be greatly appreciated. Thank You!! Did you find these plates? I am having the same problem. I have a Baycrest pool made by Seaspray. I need new resin top caps. Where can I find these? I am looking for replacement seats to a 24' above ground Artesian pool. I have a 24ft Caribbean pool I'm looking to replace the top rail connectors , do know where I can find them? I Need to know where to find coping covers for my Silverado 27' pool. Any help would be appreciated. Hi, my name is Melinda. We recently bought a pool from a friend. The pool is 25 years old. When we got the pool we realized that the bottom tracts were rusted and that we needed clips..the pool is a Superior Hayward however we cannot find any place that sells these parts...do you know where we can find find these parts? Just replaced the liner in a Patriot Bravado 24' x 52" pool. In the process one of the top clips was lost. The part number according to the BOM is T2983. Pool was purchased in summer of 2003. 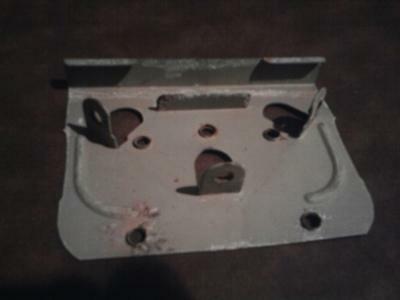 I am also looking for T2983 bottom plate both top and bottom are the same so I got this number from top plate all bottoms are rusted this pool was purchased in 2002 I don't know the name of it I got it second hand so I can't find these parts anywhere any help would be appreciated.